This month’s Legislative Brew event featuring Elgin City Councilman John Steffen and sponsored by AT&T will be Friday, February 22 from 8:30 to 9:30 a.m. at the Chamber office. You will have a chance to catch up over a brew with Councilman Steffen, ask your questions and mix and mingle with other Chamber members all in an informal setting. John Steffen was born and raised in Elgin and has lived here all of his life. He has served on a variety of community organizations including the Elgin Noon Kiwanis Club, United Way of Elgin, Downtown Neighborhood Association, Elgin Community Network, and the Elgin Kane and Illinois State Bar Associations. 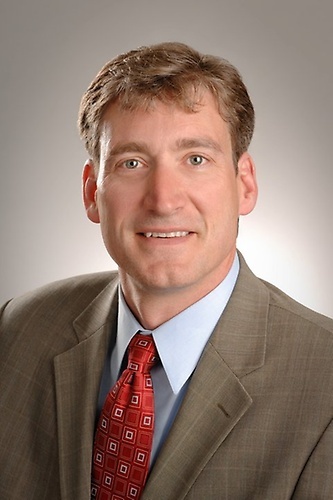 John is a 1982 graduate of Larkin High School and received a Bachelor›s from the University of Illinois before receiving his Juris Doctorate degree from The John Marshall Law School. He has been an attorney since 1989. Our Legislative Brew series helps connect our members with the information, opportunities, and people from across the political spectrum that make a difference to your business. Sometimes we’ll meet for coffee, other times for an actual cold “brew.” In any case, EAC will continue to serve up cups of conversation throughout the year with individuals engaged in government and the policy discussions facing our community, region, and state.